Professor Matilde Todaro MD started her research activity in 1988 as Research Fellow at the Institute of Human Anatomy, University of Palermo. In 1990 she continued her collaboration in the Laboratory of Clinical Immunology at the University of Palermo. In 1991 she was a Visiting assistant professor in the Department of Immunology at the Royal Liverpool Hospital (UK), under the supervision of Prof. P M Johnson. From 1992 to 1997, she was a resident in Endocrinology and Metabolic Disease, Intensive Metabolic Care Unit at the University of Palermo. 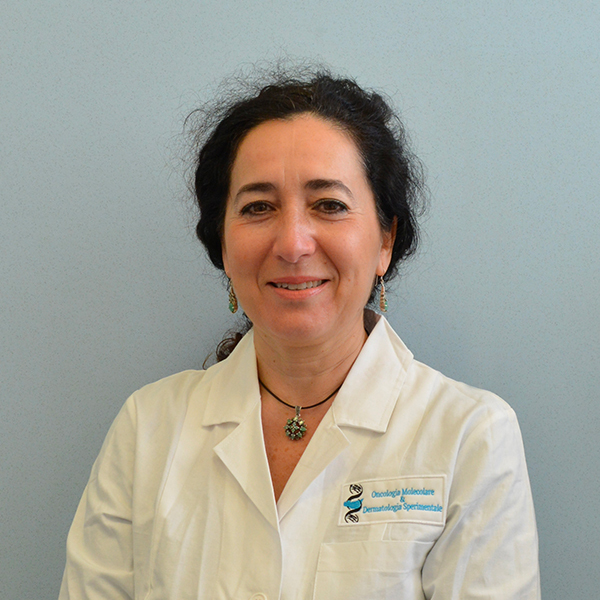 Due to her long-standing experience, Matilde Todaro has become a pioneer in isolating and characterizing human Cancer Stem Cells from solid tumors, in particular from breast tumor specimens, and in elucidating their molecular and biological properties. Furthermore, this is also made possible due to national and international collaborations with scientists, who represent excellence in their own field. The extremely competitive clinical research team, together with the innovative technological resource available, has allowed her to obtain outstanding results that contribute significantly to the study of breast cancer stem cell biology and which are lending insight into the mechanisms that regulate the epithelial tumor cells’ survival and resistance to conventional therapy. Breast cancer is the most common neoplasia in women, with a reduced survival rate for those patients who were diagnosed in the advanced stages of the illness. This type of cancer is regarded as a heterogeneous disease that can generally be classified into three major subtypes: luminal, human epidermal growth factor receptor 2 positive (HER2+) and basal-like. Luminal tumors express estrogen and progesterone receptors. HER2+ tumors are characterized by an amplification and over-expression of the ErbB2 oncogene, while basal-like tumors usually lack hormone receptors and HER2. This last subgroup of breast tumors, is the most aggressive form, having the worst prognosis and a lack of therapeutic options. The metastatic spread of breast cancer accounts for most of its morbidity and mortality rate. We aim to explore the intrinsic and extrinsic cellular pathways involved in breast cancer development. We are attempting to identify putative molecular targets involved in proliferation, survival and fate of breast cancer stem cells (CSCs), providing essential tools for the prognosis and treatment of breast cancer. 2003-2005 Coordinator of grant Ministero della Sanità 1%: “Il pathway IGF-1/AKT/PI3K nello scompenso cardiaco e nelle malattie cardiovascolari”. 2006-2009 Grant AIRC: Minimal residual disease: molecular mechanisms involved in the chemo-resistance of colon cancer stem cells. Due to the extreme difficulties in curing distant metastases, breast cancer is the second leading worldwide cause of cancer death among women. Although it is clear that larger and more aggressive tumors represent a higher source of metastatic cells, the cell of origin responsible for the recurrences in distant organs, remains largely unknown. Cancer stem cells are defined to be a small population of tumor cells that are provided with a self-renewal and multilineage differentiation capacity, as well as an innate resistance to cytotoxic agents. The inefficacy of conventional therapies might explain chemoresistance and the high frequency at which relapse is shown by the majority of tumors, including breast cancer. Metastatic lesions invariably originate from disseminating tumor cells that are expected to be a subset of cancer stem cells. We study the tumor-related molecular events that characterize tumor features and which may be clinically exploited both as a biomarkers and therapeutic targets in the adjuvant setting.